For most of human history, the number of ‘artists’ working at any given time were necessarily few – thus perhaps the excitement with which we unearth any artefact, however basic – and the further back we go, the greater the amazement with which we greet such finds. Rightly so. But how can we compare our time with any previous one? It seems to me obvious that today there are more artists living and working, not only than there have ever been but by several orders of magnitude. Further, these artists have access to more influences, and to vastly more powerful tools, than any of their forebears; so much so that I feel we are now living through a period of creativity unprecedented in human experience. 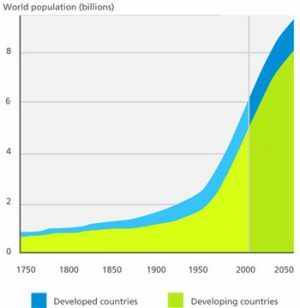 Consider first how much greater the population is than it has ever been: when I was born in 1961 there were less than 3 billion people on our planet; now there are more than 7 billion! Further, because of spreading education, an ever larger proportion of that population is reaching the threshold where artistic production is possible; because of increasing wealth, larger numbers are able to find the time to engage in creative endeavours; also because of these factors, the audience for such creations is constantly growing. This New Renaissance is simultaneously fed and over-fed by the ever increasing speed and interconnectivity of our forms of communication. Fed by near-immediate access to all previous and current creative work: over-fed because the feast provided is so rich, that it is hard not to consume it gluttonously – to the point where the urge to create can be choked. In the past, individual ‘geniuses’ arose as isolated spikes in a largely flat landscape. The rarity of such people was a natural consequence of how modest the population was, how close to the breadline, how ignorant. This ignorance meant that anyone lucky enough to receive an education, shone. Exceedingly slow communication, if not outright isolation, meant that each ‘genius’ fed on a unique diet of influences and so his productions were necessarily unlike those of any other. The internet ensures that ever few artists are isolated in this sense. (Even those that are will most likely be, by the same token, deprived enough so as not to have the ‘entry fee’ to the creative community). Artists today, increasingly, feed on the same input as each other, and can, at all times, maintain a clear view on what their peers are doing. Thus there is a tendency for creative production to become homogeneous. Nevertheless, the sheer breadth and depth of the creative community (consider how only relatively recently women have been allowed and able to participate) means that, even along the crest of this perpetually breaking wave, peaks do appear, and those in huge numbers. Adding to this is the ever increasing speed with which the feedback loop of influence-creation-influence is spinning. Please let me know what emails you would like. If you don’t check either I’ll send you everything! I agree. Funnily enough the other night, I was using the word “renaissance” in a conversion about the “state of the world”. My friend was arguing that Social Media is “going to result in many governments being overthrown”. On the other hand I was saying “that there is more to the revolution of this age than tweeting about looting Curry’s – that we live in an age where the fundamental way we think about the world is going to change;like the change from the Medieval to the Renaissance mind”. Both the Renaissance and the Enlightenment were changes which encompassed artistic, technological and philosophical revolution. When the answers to the questions such as “what is science?”, “what is art?”, “what is communication?” changed; the meanings of the questions also changed forever. (Having said all that, looking out to the Grassmarket on a Saturday it still looks like a Brueghel so, perhaps the medieval mind has not left us entirely).